1. 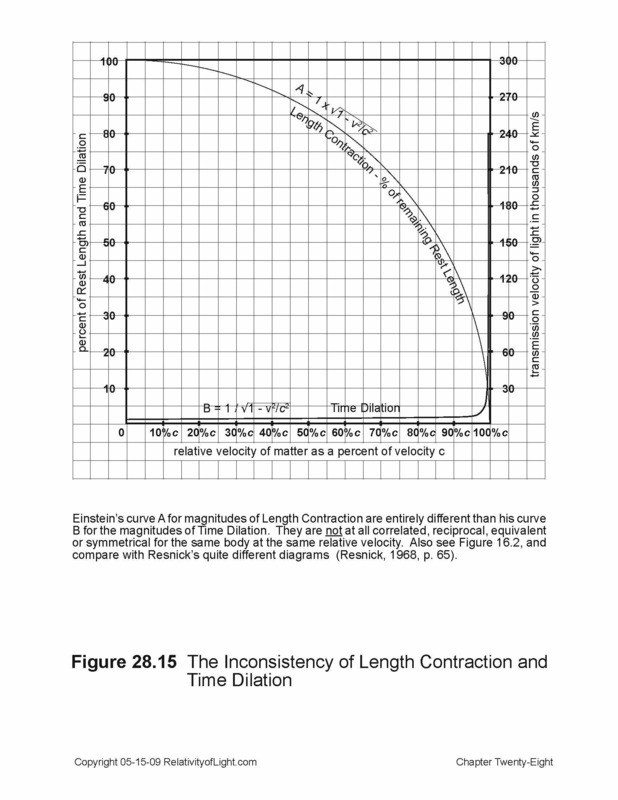 How can a 20% coordinate contraction of matter and a 1.25% coordinate dilation of time at the same relative velocity (60% of c) result in a consistent algebraic co-variant measurement of coordinate magnitudes for a single moving rod with respect to two different reference frames? (Figures 16.2A and 28.15) They cannot. Remember that the coordinate measurements of a moving rod must be its spatial coordinates together with its time coordinates. (Chapter 26) What is the reason for this contradiction? Such asymmetric magnitudes for the same rod at the same velocity are also completely non-reciprocal. 2. 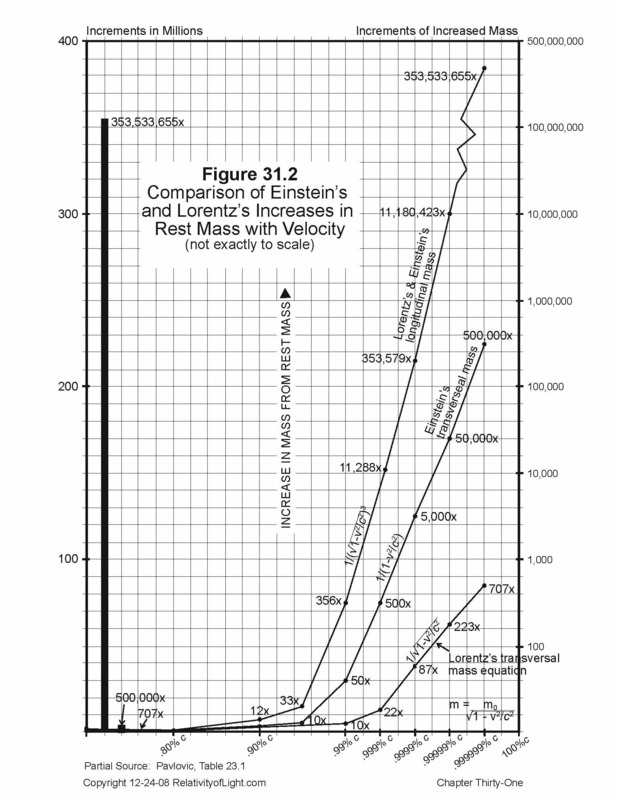 According to Special Relativity and the Lorentz transformations, when a meter rod has a relative velocity of 99.9999% of c, it contracts to only 0.000019% of its rest length, but its mass increases by 2,236 times (Charts 15.4D, 16.3, 31.1, and Figures 16.2 and 31.2). 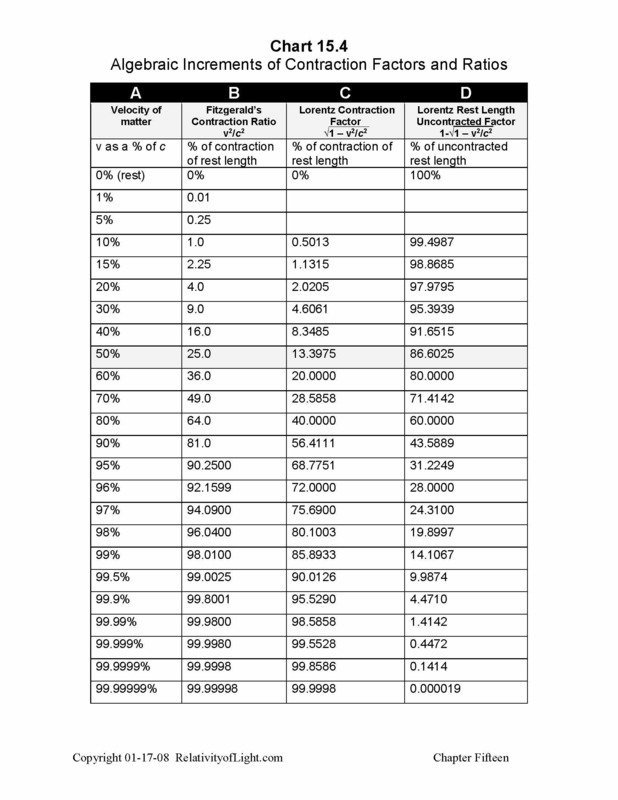 How can a 99.9999% contracted rod (a point or a two dimensional object) have 2,236 times its original mass? 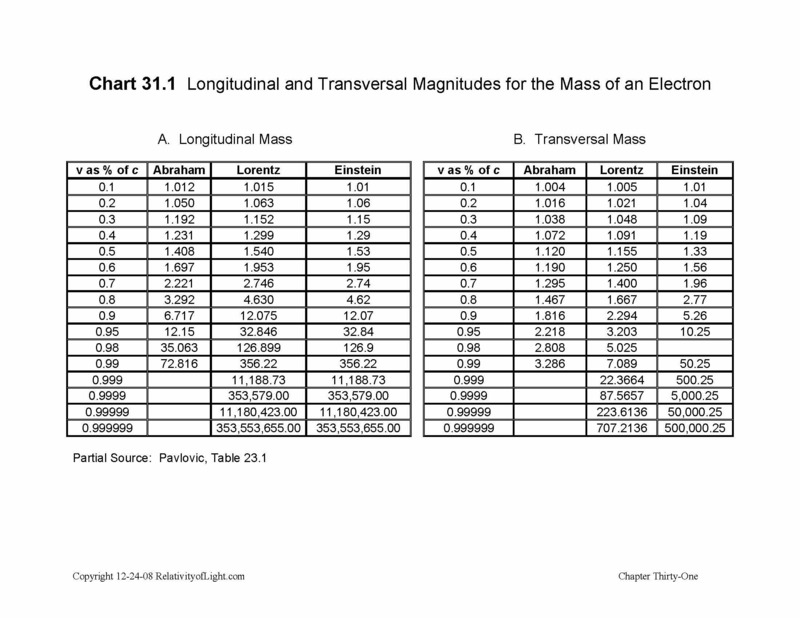 How can a rod with zero length have an infinite mass and exist during a zero time interval? 3. When the Lorentz transformations were applied to light propagating at velocity c en vacuo, the algebraic result appeared to be co-variant (the same magnitude of c), symmetrical and reciprocal between two reference frames, because a priori non-material light and a non-material vacuum cannot contract or dilate, and the velocity of light at c was mathematically absolutely constant with respect to everything. Also, there were no artificial interpretations necessary for such application. 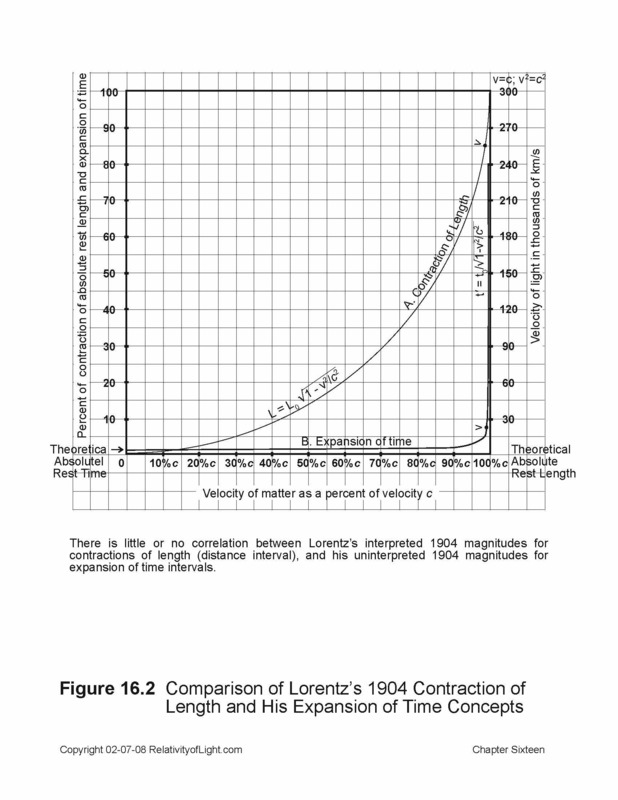 What happens if the Lorentz transformations are applied to the velocity of a light ray propagating through glass between two reference frames? 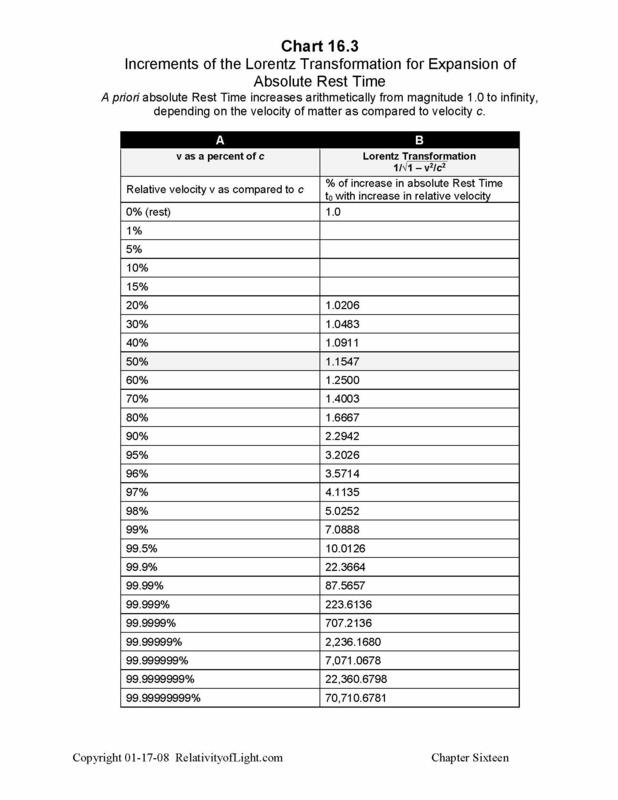 The velocity of light through the material medium of glass is about 60% of c. Would this mean that the coordinate distance of such propagation through the material medium of glass should be contracted by 20% and that the coordinate time interval of such propagation should be dilated (slowed down) by 1.25%? Why not? This should logically follow from Einstein’s Special Theory. (Figure 16.2) In any case, such asymmetric coordinate magnitudes would not theoretically allow such light ray to be algebraically symmetrical, reciprocal and co-variant with respect to such two inertial reference frames.